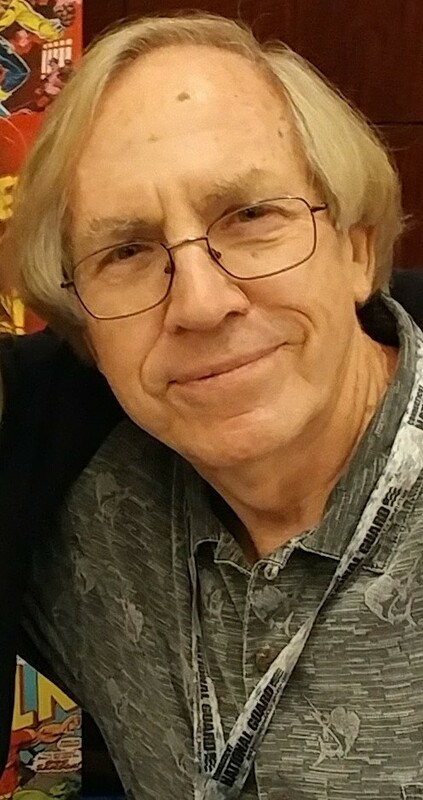 Roy Thomas is a legendary comic book writer and editor, who was Stan Lee’s first successor as editor-in-chief of Marvel Comics. He is known for co-creating some of comics’ greatest characters such as Wolverine, Carol Danvers, the Vision, Iron Fist, and Ultron. He also introduced the pulp magazine heroes Conan and Red Sonja along with the sci-fi fantasy Star Wars to Marvel Comics. Roy has had lengthy writing stints on Marvel’s X-Men and Avengers, and DC Comics’ All-Star Squadron and Infinity, Inc., among many other titles, books, and a couple of movies. He was inducted into the Will Eisner Comic Book Hall of Fame in 2011 and currently edits the comics-history magazine Alter Ego and works with Stan Lee on the Spider-Man newspaper strip. Roy will be taking donations of a minimum of $1 for the Hero Initiative Charity for each comic he autographs, with a maximum of ten per person (although there will be a $20 fee for each witness-graded comic or piece of original comic art signed). If you have more than ten, you can go through the line again with ten at a time. Roy will also have his exclusive Marvel Comics “Roy Thomas Marvel characters print” for sale at $20 each. He will personally sign each print for you, with some of the proceeds going to the Heroes Initiative Charity.